Let’s start by saying Thank you so much to Nabeela of Stay At Home Mom for the nomination for this award! We really appreciate the recognition for our blog! Our blog started mostly because of my car accident/brain injury. Kim knew I was bored out of my skin and needed something to do. I had been considering starting a blog before and the amount of time I have been off work recovering gave me the perfect opportunity to start. 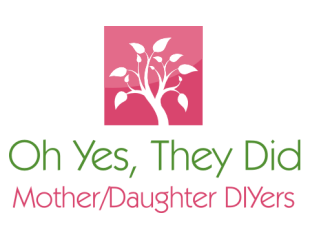 Kim and I decided to do a Mother/Daughter blog to share our love of cooking, crafting, home décor, tips and anything else we could think would be interesting to share with other people! The feedback we have received for our efforts has been amazing…. as is the blogging community in general! Make your blog as unique as you are! This entry was posted in awards, informative, Nomination, Our Posts and tagged Blogger Recognition Award, postaday. Bookmark the permalink. Thank you so very for good news and nominating me. Lol , yes we REALLY like you! You are welcome! You are welcome… and we are glad you enjoy our posts…we enjoy your blog as well! Thank you for the nomination so kind!! !